While Karbonn has released quite a few phones recently, the company seems to be gearing up for another launch soon. 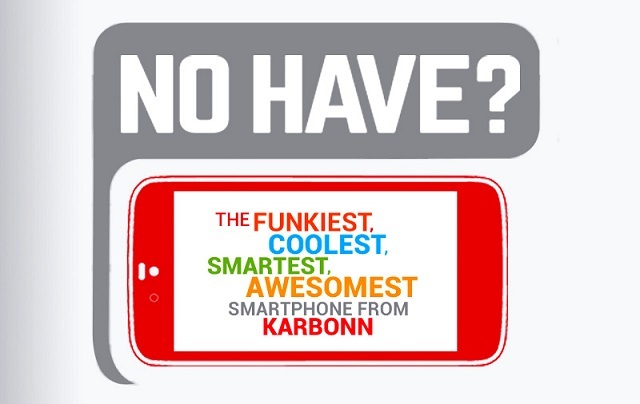 Karbonn has released teaser videos of its upcoming smartphone launch which is scheduled for September 15. The teasers reads “If you ‪#‎NoHave the funkiest, coolest, smartest, awesomest smart phone, then get ready to be surprised!” While this could hint at an upcoming flagship device, considering the current trend we can also expect an affordable smartphone. Interestingly, the Google Android One launch is scheduled for September 15 and coincides with the Karbonn launch events thus sparking doubts that it could be the launch of an Android One handset. Karbonn is known to be one of the partners for the Google Android One program. We shall have more details on September 15.